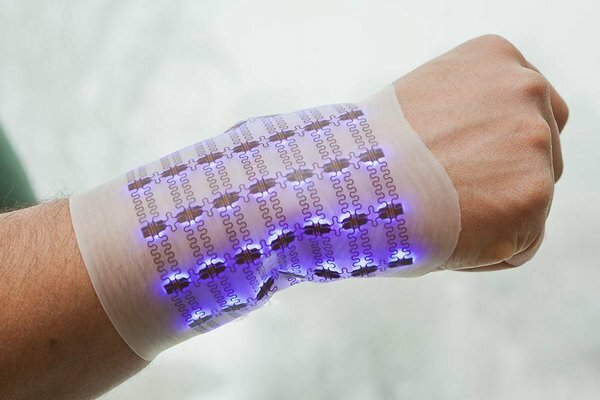 CMST develops technologies to make elastic electronic devices, mainly for integration into textiles. 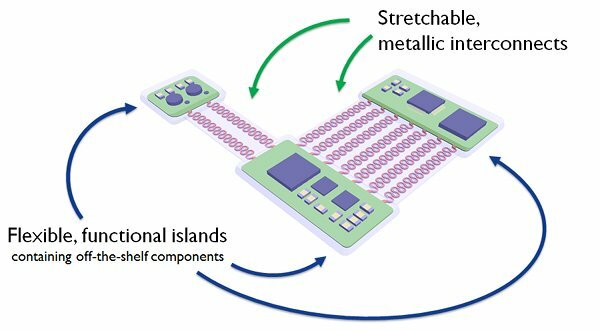 The principle behind an elastic microsystem is that an electronic circuit is divided into functional islands (containing the electronic components), which are interconnected by meander shaped, stretchable interconnects.The whole is encapsulated into an elastic polymer. To realize this, CMST has 2 technologies available, which are both based on standard fabrication technologies for electronics. 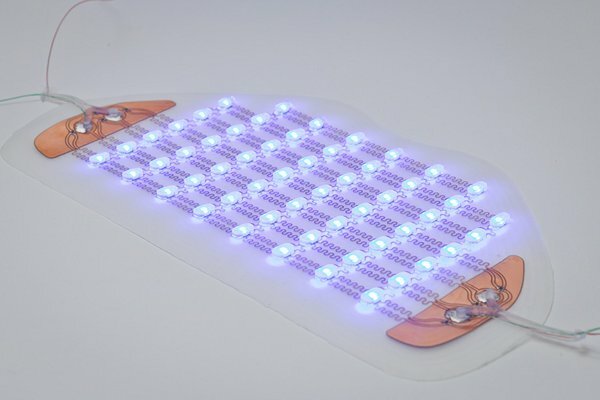 The first technology makes use of printed circuit board techniques where base materials are polyimide, stretchable copper interconnects and soldered, off-the-shelf electronic components. 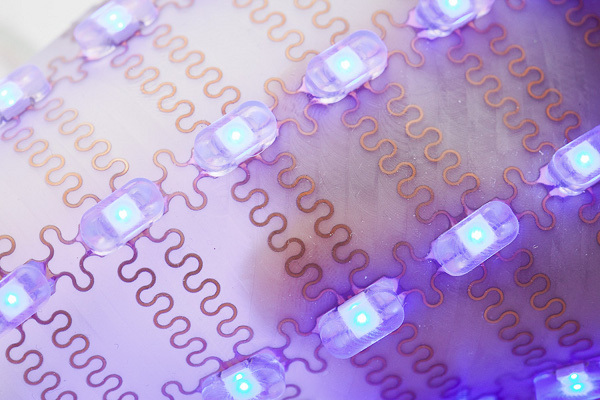 A second technology makes use of printed electronics techniques, where base materials are PET/PEN, stretchable copper or silverprinted interconnects and glued, off-the-shelf electronic components. For both devices, the encapsulant materials to give the system its elasticity are silicones, polyurethanes, thermoplastic elastomers, etc. The first technology aims to realize high density, high level, more robust elastic microsystems, which are more expensive. The second technology aims to realize low density, large area, cheaper elastic microsystems. 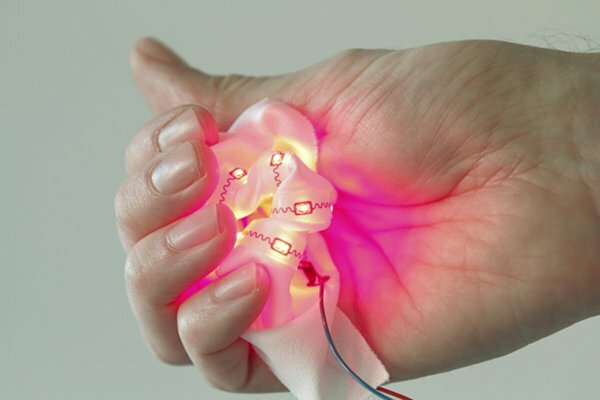 These elastic microsystems can be integrated into textiles, by lamination or glueing. 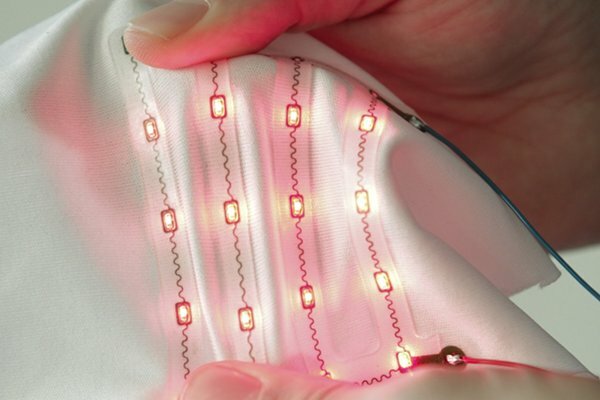 In this way, functionality like sensors or lighting, can be integrated into garments, industrial textiles, etc. As the most important feature of these technologies is their elasticity, characterization of these systems is done by means of extensive endurance testing. Stretchable interconnects are evaluated in their maximum elongation and number of elongations before failure. Depending on which technology of course, a total of more than 1.000.0000 cycles can be reached at 10% elongation. Also, washing tests are performed on textile integrated modules. Last results show that washing these devices upto 25 cycles seems to be possible without detoriating the systems’ functionality.